The Snoppa Kylin M is a portable handheld three-axis stabilizer for lightweight devices. 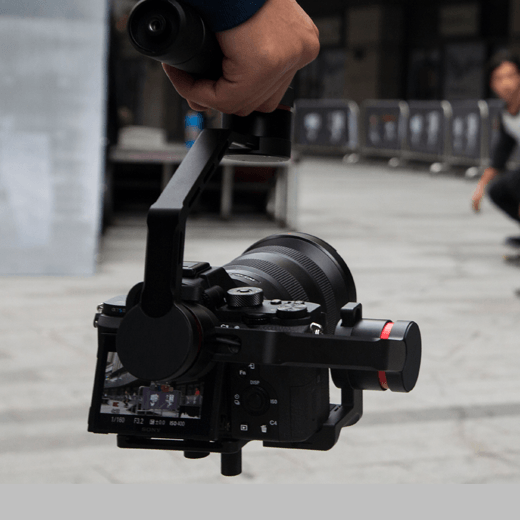 The Kylin M uses Snoppa’s advanced multi-axis stabilizing system that can effectively eliminate video shake caused by movement when holding a camera and realize smooth professional video normally found only when a slider device is used in the professional film-making process. The Kylin M is designed to handle mirrorless cameras and some DSLRs, but can also stabilize mobile phones and action cameras as well. The Kylin M brings professional-quality videos to everyone without the need for a huge team or lots of costly equipment. Designed by: Jieling Zhou, Weiling Li, Junliang Long, Hudong He, Yiyi Xu and Ni Jiao of GWOWO Design for SNOPPA Technology Co., Ltd.